Would you like to make a difference in your community, help to plan library programs of interest to you, and offer your ideas/skills to the library? Then this is for you! The Teen Library Council (TLC) is a group of teens from the Mukwonago area that have an interest in the Mukwonago Community Library and programs for teens. TLC will provide input on programming, special events, activities, help out in the Children’s Department, and provide ideas on what you’d like to see added to the library collection. Where and when will TLC meet? Members will meet at the Mukwonago Community Library twice a month to discuss the collection, teen issues, plan and implement programs, assist with bulletin boards and craft bags, and collaborate together on how we can make a difference within our community. The meetings are held every other Monday at 4:30 p.m. in the Teen Territory. Check the website for the next meeting dates! 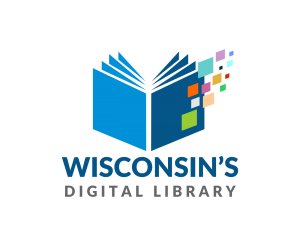 Willing to follow library policies, guidelines, and behave in an appropriate manner as a member of TLC and a representative of the Mukwonago Community Library. What can I get out of this? Stop by the Mukwonago Community Library to fill out the TLC application and return it to the Circulation Desk. You will then be contacted with further information about the meetings!